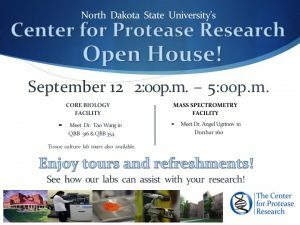 Please join us for an open house on September 12 from 2:00pm to 5:00pm. Enjoy tours and refreshments! See how our labs can assist with your research!